This past Friday, four bands hopped in a van in Portland; they got out on Saturday morning in San Francisco. 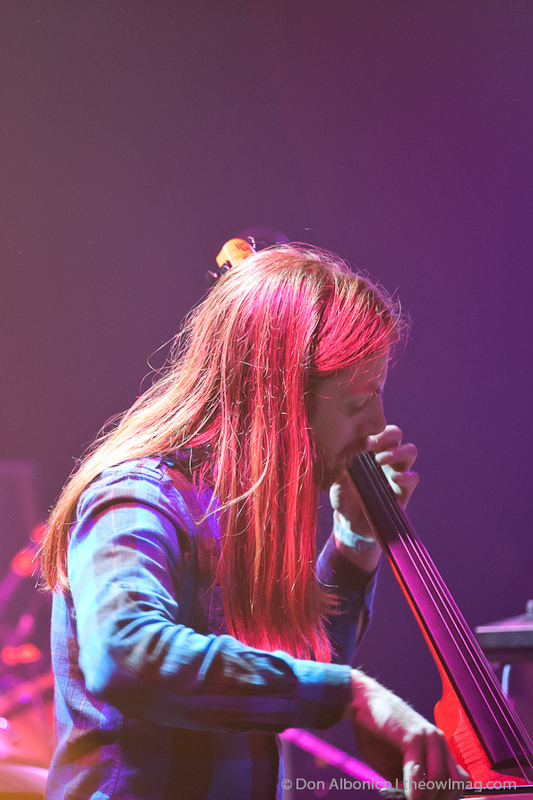 All-nighters are standard fare for musicians on the road, but the acts traveling in the Modern Art Tour did more than rise above the fatigue—they brought the house down. It wouldn’t have surprised me if the house (in this case, the Independent) literally fell down. 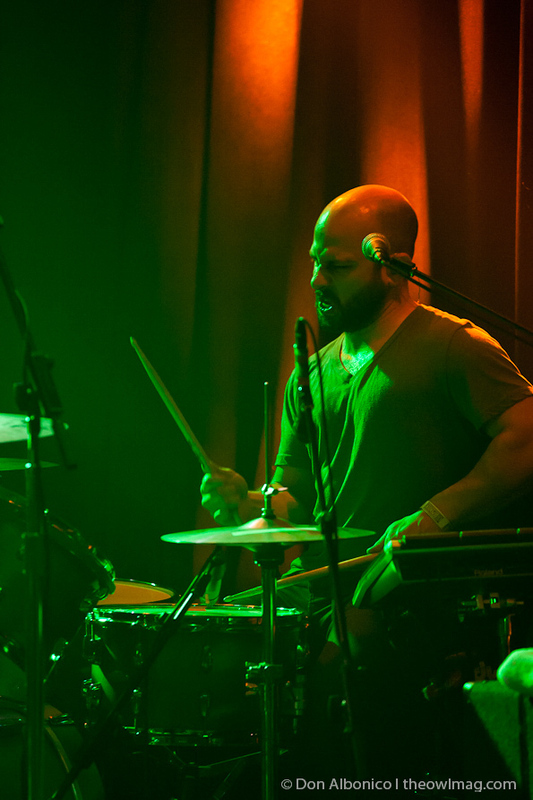 The show was something of a homecoming for Geographer, whose second LP was released last week to rave reviews. 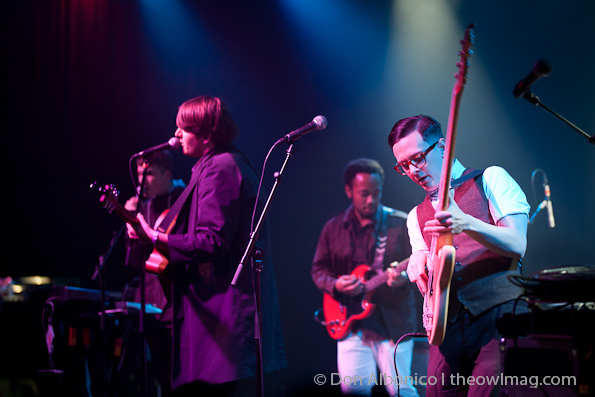 The venue was bursting at the seams and the whole show felt celebratory: longtime fans and new listeners alike were swept up in the hometown heroes’ eminently danceable set. Co-headliners Miniature Tigers took the stage first, however, charming the audience with their brand of sunny indie-pop. The Brooklyn band has spent a career experimenting with textures and influences, but these many incarnations came together seamlessly—sultry selections from Mia Pharaoh met bubbly favorites from Fortress and Tell It to the Volcano. Even though the quintet’s latest offering certainly switches gears (largely due to vibrant synths and Charlie Brand’s confident falsetto), the dancing never stopped. 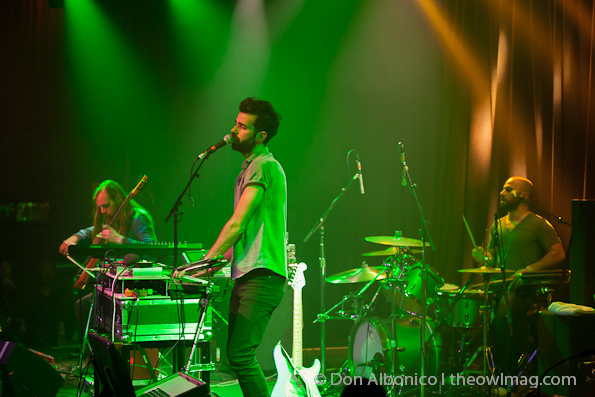 If Miniature Tigers got the party started, Geographer turned it into a veritable rager. As one of my favorite San Francisco venues, I have many Independent shows under my belt—and I don’t think I’ve ever seen it as feverish (and full) as it was on Saturday. The set was an excellent introduction to new album Myth as the band moved from early hits (“Can’t You Wait,” “Original Sin”) to current standouts (“Life of Crime,” “Kaleidoscope”). Although the trio pumped up the rock vibe on songs like “Lover’s Game,” Michael Deni’s angelic voice was never lost in the instrumental layers. 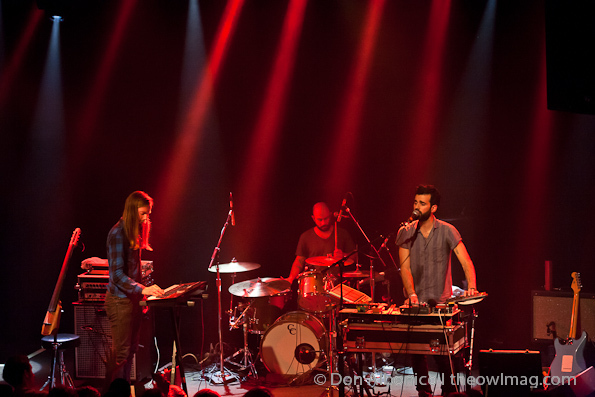 Every element of Geographer‘s recorded sound is perfectly balanced and I was thrilled to hear that translate to the stage. 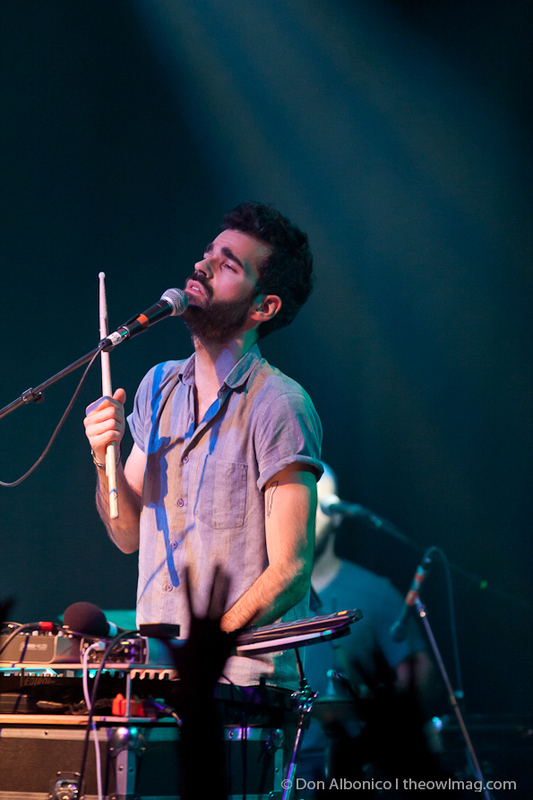 Geographer rocked last year’s Treasure Island Music Festival, playing into the open air and still wowing audiences. 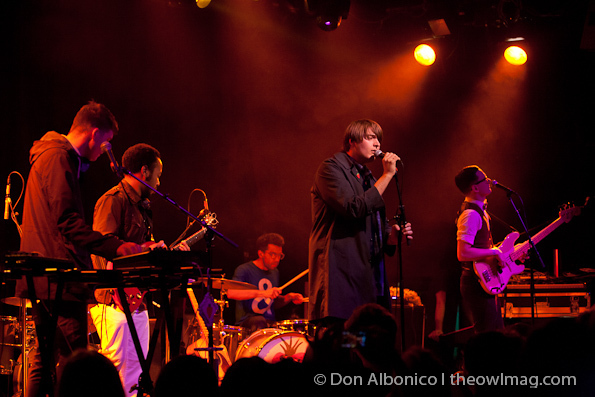 Moving that same power to a venue as intimate as the Independent was sure to be spectacular—and it was. If this early stop on the Modern Art Tour is any indication, these bands have amazing things in store. Click here for more amazing photos of Miniature Tigers and Geographer!